When Adrian Dalsey, Larry Hillblom and Robert Lynn founded DHL in 1969, they didn’t know they would revolutionize the world of logistics. 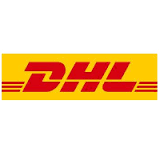 Today, DHL is the world’s leading logistics company. Our 340,000 people in over 220 countries and territories work every day to help you cross borders, reach new markets and grow your business. Or simply send a letter to your loved ones.